Really, I never knew this variety exists …. However I start my narrative about these apples, it all comes down to the feeling of surprise, awe and joy altogether. Surprised with the bright pink color when I halved one; awe when I took the first bite and tasted sweetness and tart at the same time in all its succulent glory and wonderful crunch which is like the perfect apple; to be tickled in the mouth when I tasted guava notes at the end; I wanted to savor it more but I already swallowed it so I just repeated the process until I finished the apple which left me wanting more. 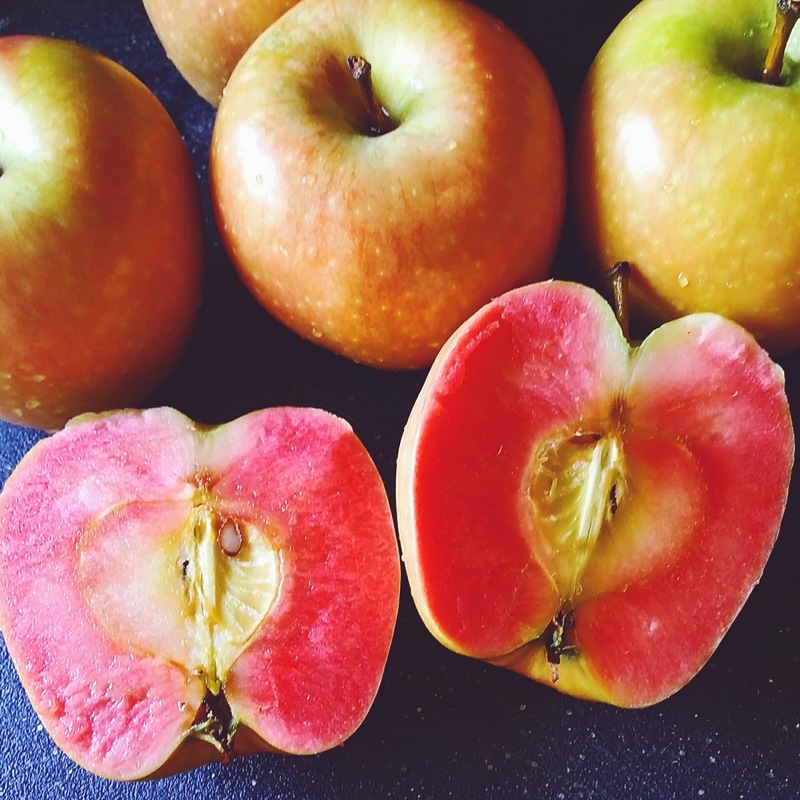 It was pure joy to experience Mountain Rose Apples. But the sad part is- they’re only grown in Oregon and are seasonal and available only in the fall. Still, I feel blessed and I will always look forward to the season and a visit from the gift-bearing friend. 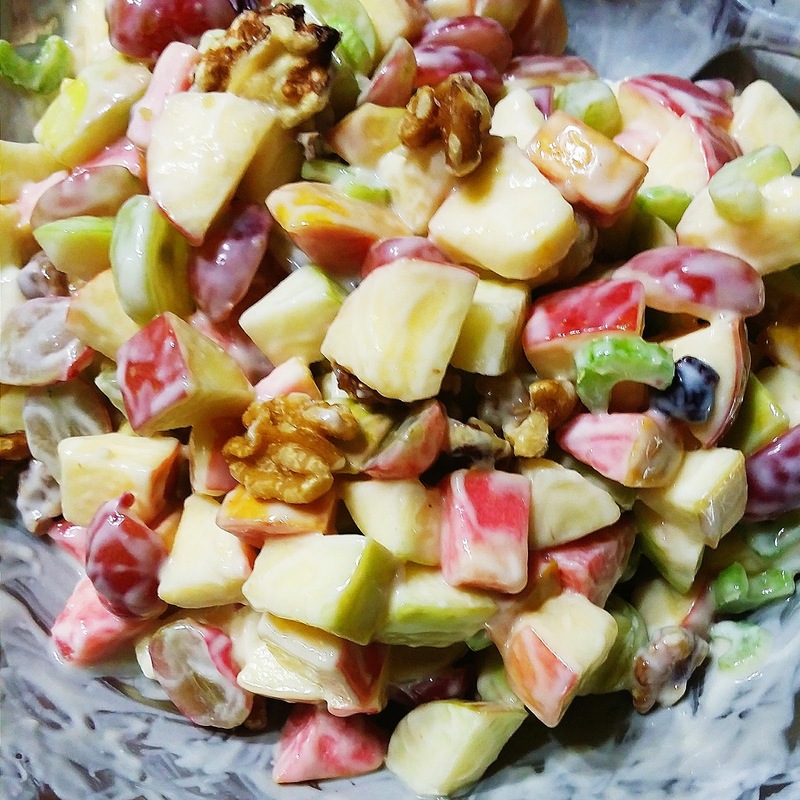 Okay, so I’m not exaggerating when I was singing praises over these unique apples and just how amazing they are by themselves but I can’t help adding some to my Waldorf salad. With Fuji, Gala and Granny Smith apples, they sure upped the level of deliciousness of my salad. Here's how I made it. Combine Granny Smith apple, Golden Delicious apple, Gala apple, Mountain Rose apples, celery, cranberries and walnuts in a large bowl. For the dressing- whisk sour cream, reduced-fat mayonnaise, sugar, salt and pepper together in a separate bowl. Pour dressing into apple mixture; toss until evenly coated. Chill in refrigerator for at least 30 minutes before serving.